Cocoa Bean and Goji-Berry. 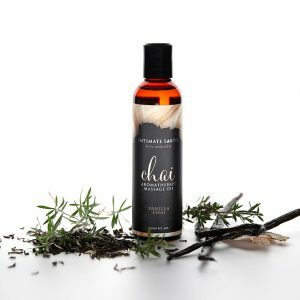 Our massage oil blend contains natural oils and certified organic extracts to soothe aching muscles and create a sensual setting. 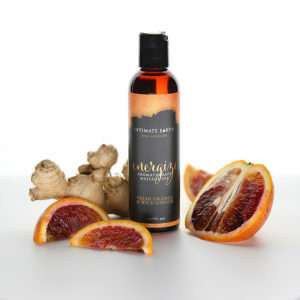 Use on the body everyday after bath or shower for silky soft skin. Will not stain sheets. 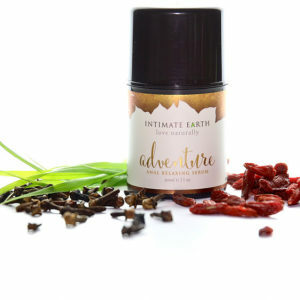 Lemongrass & Coconut: Adding a silky splash of nourishing, friction banishing smoothness to hands-on endeavors, Intimate Earth presents an all-natural aromatherapy enriched Relax Massage Oil to body care purists and massage aficionados. 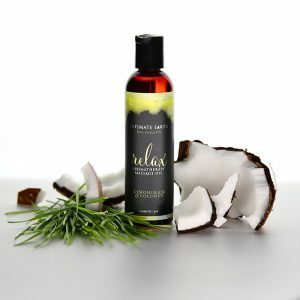 Packed with certified organic extracts of sunflower seed, lemongrass, gojiberry and aloe leaf along with indulgent sweet almond and coconut oils, Relax contains no irritating paraben and is 100% vegan. As well as enhancing massage, this versatile Lemongrass and Coconut scented treat may be used as a post-shower moisturizer or bath oil. 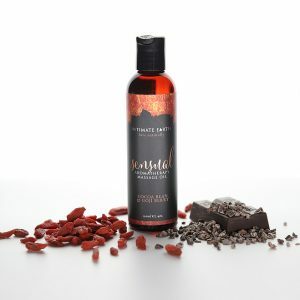 Hazelnut-Biscotti :This incredibly warm and nutty smelling massage oil is our most decadent scent yet! 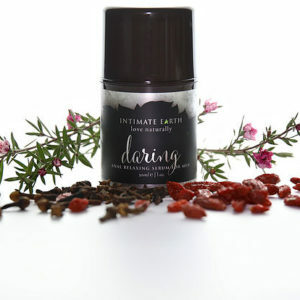 Intimate Earth Aromatherapy Massage Oils:Treat yourself to one or all of these enticing flavours.Experience a long and slow romantic session with your partner.